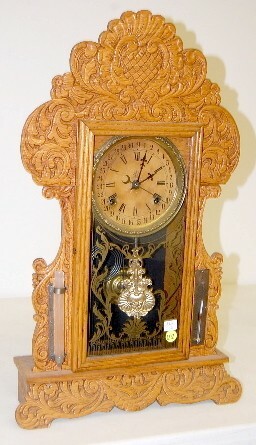 Waterbury Oak "Climax Variant" Calendar Clock time and strike; 5" marked paper dial on tin; has pendulum; no key; gold leaf decorated door. (Not running; dial discolored; barometer and thermometer broken.) 23 3/4"